Car coming out of storage in a week. I'll probably skip the diff for now. At least my mentality has shifted about the car over the winter, may consider selling in a year or two, so time to spend less on mods. Didn't realize you put it in storage. I just popped a set of snow tires on winter rims... and then almost never drove it, LOL. I'm strongly considering putting the summer wheels/tires back on tomorrow. how was your winter up there, we had a very weak one. Oh-h-h-h, an engagement ring. Yes, that could certainly mess with someone's priorities. Winter was lame, lame, lame... almost zero snow until February, and then it was typical. Mod list sounds good! Need macro pics of everything, haha. Winter was weak, considering I bought a daily / winter car to prep for it, and technically a longer distance work commute. Picked up a 2010 MDX for snow / NY trips / racking miles on, but snow wasn't a factor this winter. No ring or additional properties yet. the newer F80 M3 in the future, god willing. The 335 has so much potential, but the M3/M4 is a different animal. I'd love to grab a Tanzanite 6MT with Euro Delivery at some point. Need macro pics of everything, haha. Ow-w-w, LOL. Nothing stings worse than a well-placed compliment. Funny way of saying thank you. 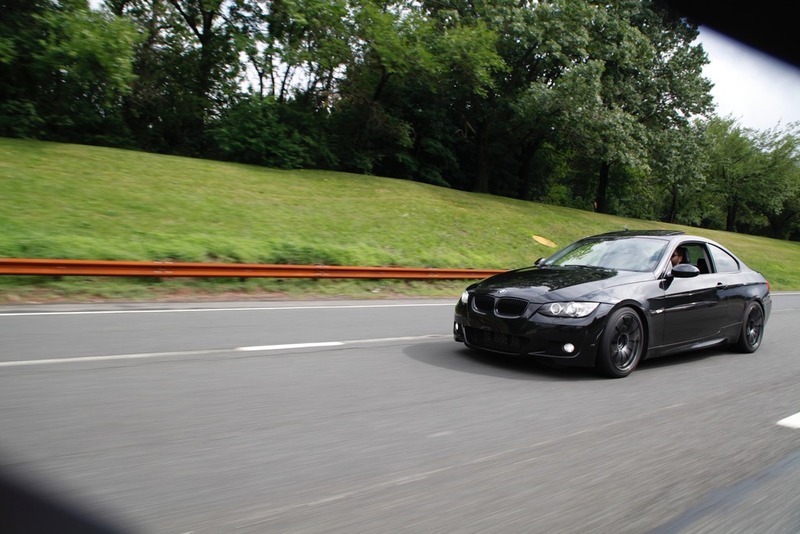 Are the rumors true about BMWs and their electrical woes? How much does that cost you in maintenance? What got you to jump ship? For the record, I have spent less on repairs and maintenance than I have on my Maxima...if you believe it. Some of the issues are well known and common, for example the electric water pump, High pressure fuel pump and the turbo wastegates will go. Inevitable. The latter two having the warranties extended by BMW. Key with any car is finding the parts for cheap and doing the labor yourself as much as possible. I think the valve cover was double what I paid for the two on the Maxima, but coils and gaskets were cheap. My biggest expense has been tires with this one, but no fault to the car, just a decent amount of mileage (50k in 3 years, no winters) to be on performance summers. What got me to jump ship were the Maxima's limitations with the FWD, rear beam suspension and rising repair bills due to age. I would only jump into something that had a manual, RWD and could jump up in handling and power, in that order. Barely added power to the 5.5, mainly went for suspension mods. 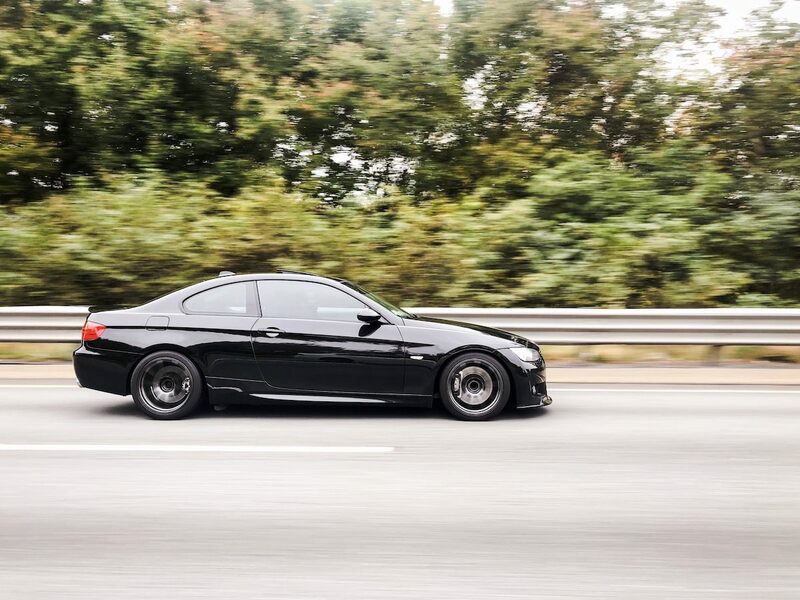 Upon my research, the 335s could be in my price range, modified to make 400+whp for less than a grand in mods, and swap most M3 suspension bits. Test drove it and fell in love. @zero2sixtyZ - why not jump to a Infiniti G37? Those turbos though. Yea you BETTER have an extended warranty. But the thing with BMW is as long as you can do most of the maintenance work yourself then they are as cheap as anything else on the road. If you have any kind of M or sport package it is going to eat through some tires. Be forewarned. Because we are on the site that pioneered VQ tuning, we have the tendency to think they are awesome motors. 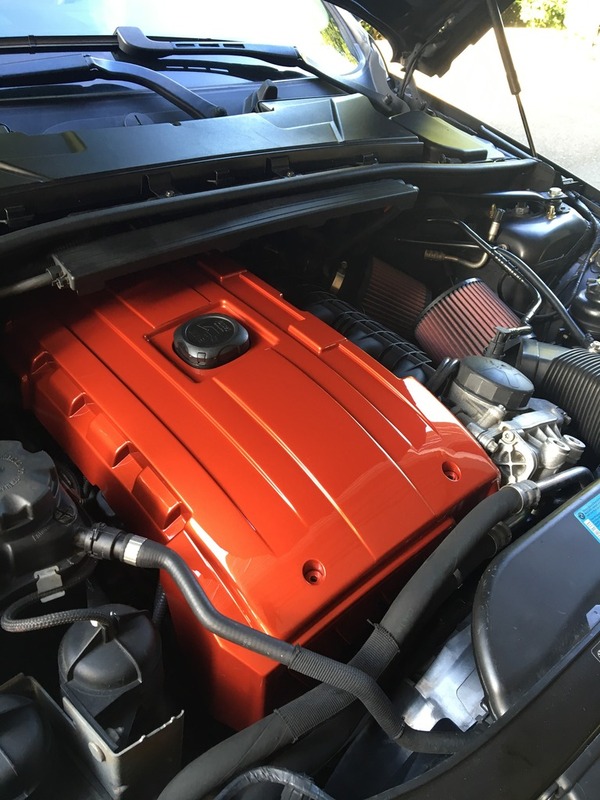 But when it comes to the feel of the engine overall the VQs are bland and boring, they are tuned to perform more like American V8s with big fat low down torque than a actual sports car's motor which loves to rev. The VQ37VHR is the perfect example of this tuning philosophy. Its torque curve is flat, it is literally a line. So the throttle is more of a switch then something you control linearly. Its a fantastic engineering achievement but not very exciting. The motor just makes power and that's it, its great for daily driving. 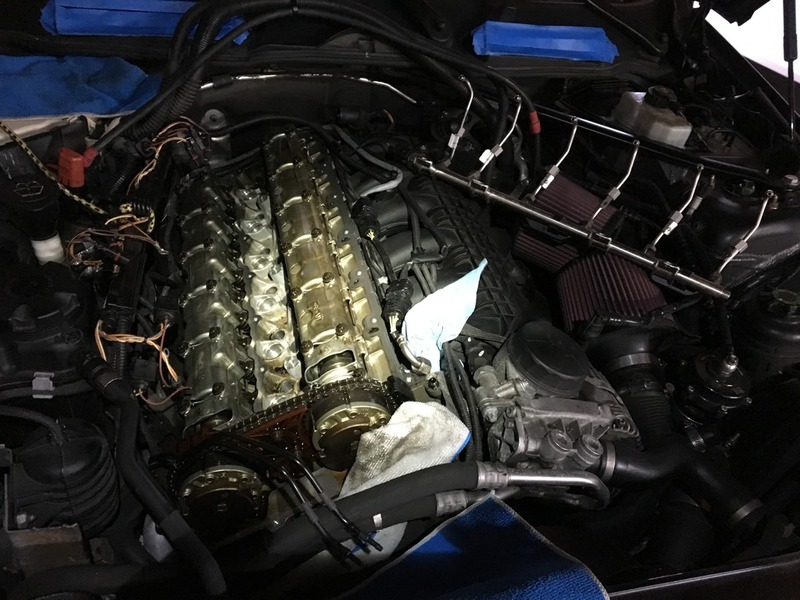 Comments related to the VQ usually are, "it feels like it dies up top" or "when you are on it, it sounds like your really straining or beating on it because it sounds harsh". A lot of that is due to the tuning of the motor out of the factory. But the VQ37 is a motor packed with technology to make it high revving and instantaneous throttle response but they held back because of the American market. Nissan had to water down the throttle response when they introduced electronic throttle because the American market complained about the throttle being too "jumpy" because it would respond so quickly. Well you would ask how is this fixed. First is with the camshafts. Cams control where the car makes power in the rev range. On the VQ37 it has VVEL so there is no need to change the cams just change the cam tuning. 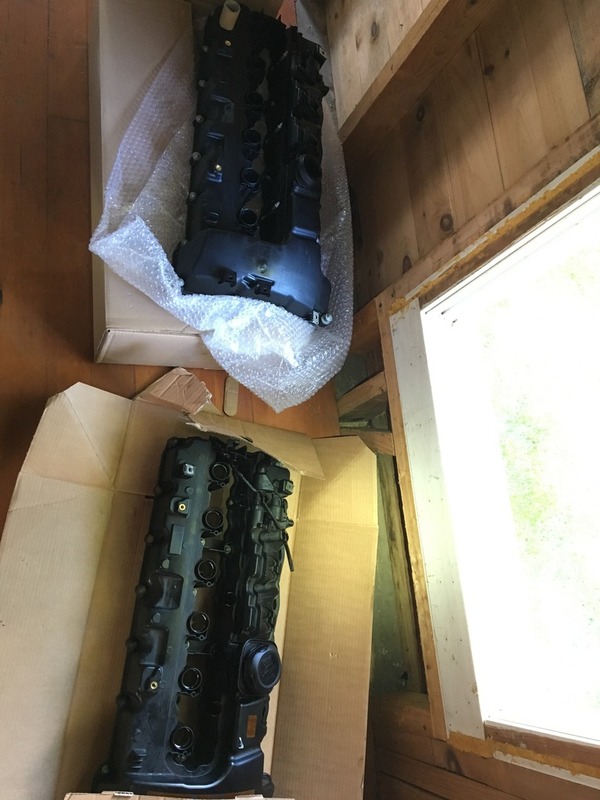 But for the VQ35 it is change the camshafts to something that moves the powerband to a higher RPM, secondly it has to be able to breath freely, different intake manifolds, turbos, superchargers. Doing this is usually big money. When you come to BMW if you buy an NA car, most of the things that we would have to do to a VQ powered car is already done from the factory. I have a 545i, it does have a big torque down low but it never feels as if it is dying up top and the thing revs to 6600rpm, it is a Valvetronic motor, basically the same VVEL system in the VQ37. But that feeling of "climbing on to the cam" that point where the car really starts pulling hard then falls off, does not exist the higher you rev the faster you go. It makes the car feel very rev happy and linear. This is a big 4000lbs car and you feel it through the heft of the steering but because of the peppiness of the engine with its eagerness to rev it feels light on its feet and sharp. 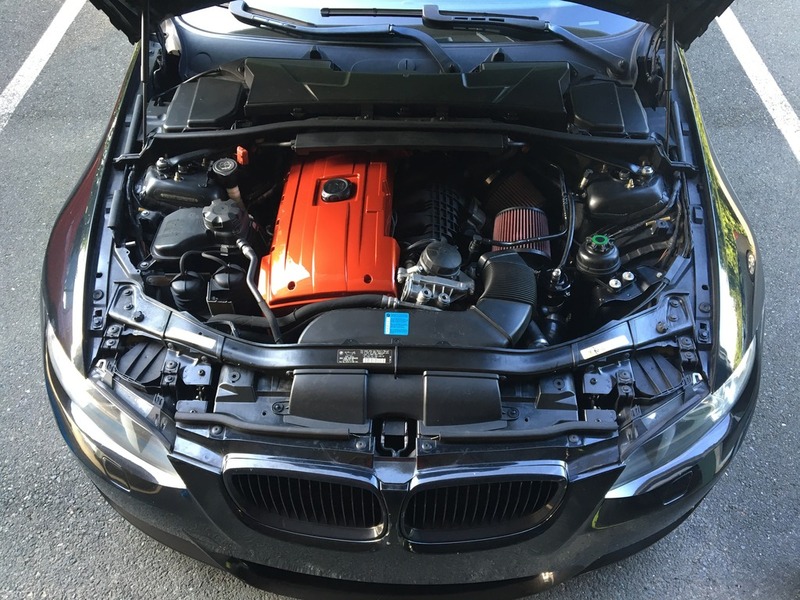 In the case of the N54 it has a dying feeling where the turbos run out of steam from the factory, that is fixed with the wastegate tuning, in other words increasing the boost. Notice i am not talking about the power output, specifically the feel of the motor. because the VQ37 with the tuning available these days those motors are outputting 330 even 340whp, so making power is not an issues, how it delivers it is what im speaking on and how it feels when it puts down the power. In short their are other cars out there that are also very exciting and very tune able for those looking to get away from the VQ. The G37 didn't appeal to me. The most important thing to me driving a car is fun. 200 pounds heavier on paper and I didn't see Infiniti handling the weight better than the BMW. 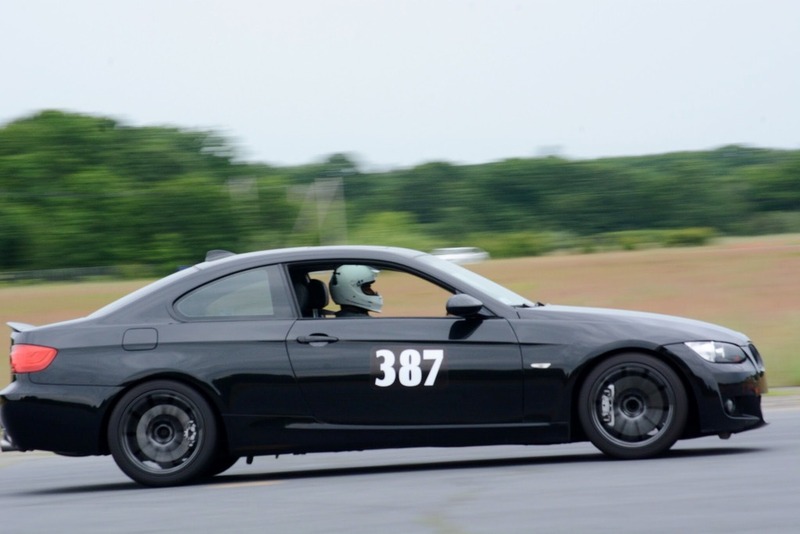 While the 335 is no lightweight, it does not feel as heavy. Steering, shifter feel and clutch were more direct IMO. I personally think Nissan keeps their quality suspension for the GT-R grade stuff only, and my opinions on that car would hurt the feelings of a few "Nissan diehards". Not to say the 335 doesn't experience cost cutting, but it's easily reversible by OEM M parts or aftermarket. A good extended warranty isn't a bad idea. I was offered a terrible price on a 3rd party warranty and didn't shop around so I skipped, but my repair costs have been less than what I would've paid. +1. Completely agree. I think the VQ has potential and can be opened up to feel more lively, but I didn't want to have to do it. The VQ was great for 7+ years, but I wanted something different and the G37 was a bit too close. Believe me when I say I miss the sound of the VQ with an intake/SSIM. I'm sure some of these new setups w/ bigger TBs, etc sound amazing. I still follow Darren's work with NISPerformance. If I ever got another 5.5, I'd ask him to throw some magic in it. The concept of a straight-6 twin turbo which was capable of 750+whp on stock internals (in 2013, now it's higher) was highly appealing even though I didn't want a dyno queen... It was part growing up in the 90s that wanted a single turbo Supra, mixed with the side wanting a poised acrobat like the S2000 or Cayman S. This seemed like a fair balance in between. New me would have liked the E92 M3 for that linear V8 and just the proper setup without touching it but prices were still high when I was shopping and the power capability is only unleashed with an expensive S/C kit... So, I threw in half of their suspension parts on something with around 380whp/410tq at the crank with less than $1,200 in power modifications. Should be mid 400whp soon with $350 in parts and a new tune, which takes 2min flat to update. Bargain of the century IMO and justifies doing some gaskets or a carbon cleaning here and there. Last edited by zero2sixtyZ; 08-11-2016 at 08:15 PM. they are tuned to perform more like American V8s with big fat low down torque than a actual sports car's motor which loves to rev. Crusher, that's why I like it. Add a deep exhaust, some bolt on suspension mods, and it can be a very rewarding drive. In some way I actually agree with you; I think this car can be crude when you start replacing things with typical aftermarket parts. The G doesn't handle mods with finesse. But that's not entirely a bad thing. Man, I haven't seen your SN in years. I don't get on the Org much. Last edited by Rochester; 08-12-2016 at 01:59 PM. yea I'm still around, i have so much going on with life that i cant post ***** like i use to but i guess thats a good thing, my poast count has been stagnant in the 50K range for the past couple of years. where before it was like 5K every couple of months. It would still be great if we could have a big meet with all the OG post **** waffles coming together, for a drink, track day and cookout. But distance is the issue. Great info and great to hear the thoughts and motives behind the mods! very intersting. I have my sights on the same, except in san marino blue. My current 6MT F30 is great, but as you mentioned - the F80 is a different animal. 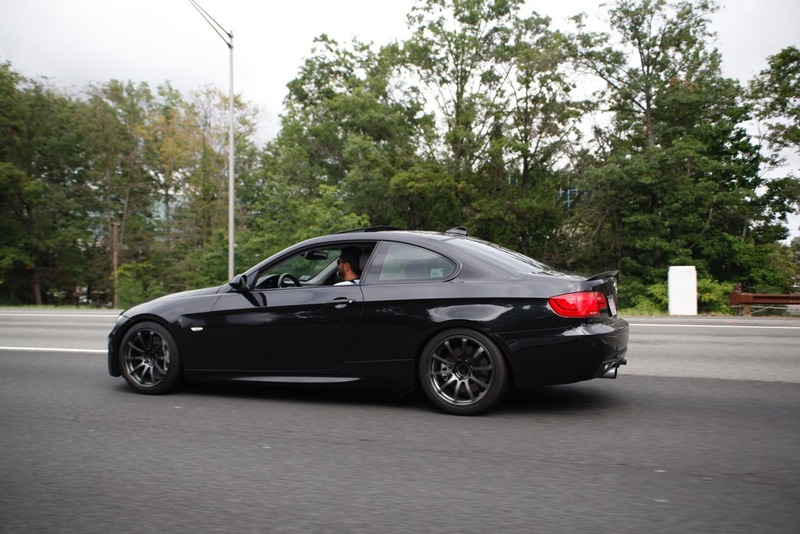 Anyway, great looking E92. 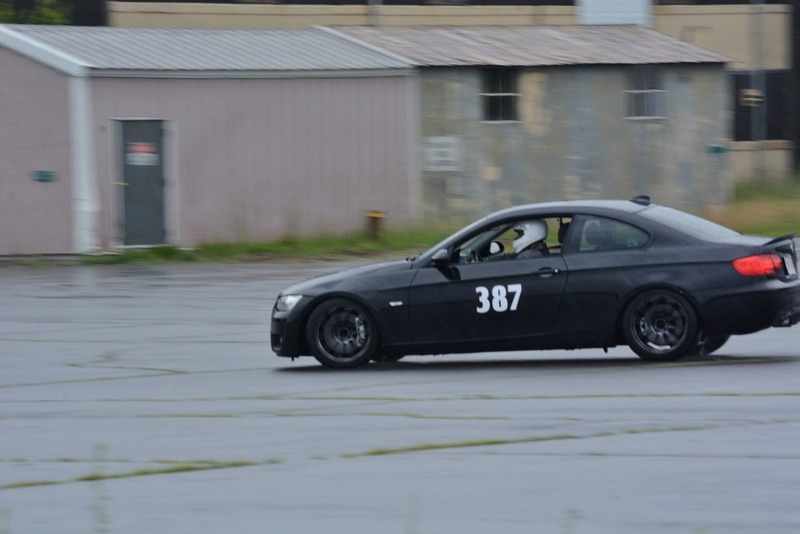 I'm sure it's fun to drive with everything you've done to it, and that autocross looks like a blast. My F30 just has a few suspension mods, but I'm slowly gaining interest on upping the sound/power with an intake, DP, and JB4. For now, I'm enjoying having a paid off car with a warranty and maintenance plan. lol. Hey man, another OG 5.5. I remember your 5.5 from back in the day. One of the cleanest. Congrats on the 6MT F30. Definitely try to get some track time with it. You'll learn a lot about the car. I do miss not having a payment but since I added a daily to the stable in December, it'll be a while. San Marino is on the list, actually bumping out Tanzanite. Saw both in person, and SMB is much more vibrant. That and Sakhir have taken the limelight for me. Hopefully I can make it happen next year, as another old 5.5 .org member and I have discussed doing Euro Delivery at the same time. However, just added a Fuel-It Stage 2 Fuel Pump (Walbro 450) and running a minor mix of E85. Huge difference. She pulls HARD now, and the temps dropping are helping. Ordered some higher rate Swift coilover springs for the rear, and working on a few small projects... right before she goes into storage. E85 can be found at some gas stations, which is ~85% ethanol. Referred to as close to 105 octane and burns cooler. Comes in handy if the fuel system will support it and while running higher boost. A lot of the N54 (135/335/etc) guys will mix it with 93 octane to increase the average octane level in the tank. I started off with a few gallons, and will be upgrading the tune to a map designed for an E40 mix (7 gal E85, 8 gal 93oct). The upgraded Walbro 450 I installed is safer to use on E85, as it can task the fueling system a bit. The lines and injectors are already safe on this car from what I've read. Im thinking about E85 on my boost bucket. Although im not sure how necessary it will be because that transmission will not stand up to enough abuse to warrant E85. Definitely pushes the car a bit more. Clutch slipped HARD in 3rd the other day doing a log run. Time to plan for spring time clutch + fly + rms. Hey Zero, bump for progress on your Coupe. I got to thinking about old contacts like you the other day, people who would appreciate last month's mod when I swapped in a 4.083 rear end. So... you and your 335 still around? Hey Rochester, I'm still around but with late updates. I saw this notification pop up the other day, but didn't get a chance to form a post. Nicely done. How's the G doing? What was the stock rear end ratio? Potentially working on a differential change soon too. DIY with pics? Glad to hear you're still into your Coupe. Looking forward to hearing what you're doing this year. The gears... stock for the 6MT are a 3.692 final drive ratio. These new gears are 4.083, which is pretty short, moving a huge amount of torque down low. It's a significant shift in power, and yet still totally driveable. Been a couple of months now, so it's become the new normal. And yet, when I dig into the throttle the rewards are still a rush. i have had my current 2002 max for 10 years now this summer ! 216k ! Well photobucket did a thing. Guess the pics here went to ****. I'll fix it at some point on another host. Older threads, prob won't. Sounds like a good move! How much higher are the RPMs at highway speeds in 6th? I'm looking into the M3 DCT diff swap. Minimal change (3.08 to 3.15) but would have a larger diff cover and beefier axles. Prophecy! Still one of the cleanest. 216k is damn impressive. I miss my 02. - Swapped stepped VRSF 5" core intercooler for VRSF 7" high density core. Won this on a forum raffle (yes, a forum working with vendors to raffle parts. novel idea, eh?). - 14k rear Swift coilover springs and revalved rear struts to 14k. Sadly was fighting with the Fortune Auto setup, and realized their default rates weren't the best. I could bore you guys about wheel frequency and F/R ratio now, but I'll save you. Learned some suspension math, made some Excel spreadsheets and calculated the best route to take. Car feels stable and balanced now. - Delrin clutch pedal bushings. Small mod, no pedal slop. Tactile mods are the nicest touches IMO. - PE mod. Opened up the rear exhaust, and welded in a non-perforated pipe into the muffler. This mimics the BMW PE (Performance Exhaust, dealer-installed accessory) and maintains the OEM look. Any aftermarket exhausts are illegal in Mass, so not trying to test the limit here. This also maintains the stock valve in the muffler, so I can open/close manually to change sound if needed. Threw on new exhaust tips, but need to be readjusted before pictures. Uploading a video for you guys now. - M3 front strut brace. Needed to clear coilover adjustment *****. Bit stiffer and adjustable. Nice piece. - 034Motorsport Street Density Line motor mounts. OEM mounts were torn and leaking, and these are a great switch to solid rubber mounts with a slight increase to 50 durometer. Not looking for poly or to introduce any NVH. Made that mistake with the ES Mounts on the 5.5. - New BOV line from intake manifold. Had to tap/install new hose barb into the IM for a larger diameter line to the BOV. 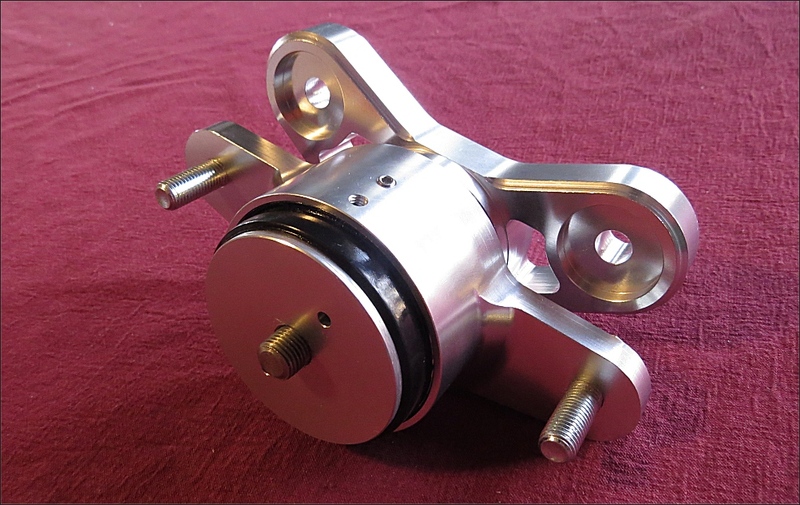 The stock line is meant for response at stock boost levels + stock diverter valves. Much better response with new line mated to the Tial BOV. - Maintenance: carbon cleaning, vacuum lines, trans fluid, one step colder spark plugs, etc. - Future summer mods: Ordering 275s for the rear tires this week. Another set of PSS, as the PS4S hasn't been released in 18" sizes yet. Working on a custom Setrab oil cooler setup, custom tune, and a few more suspension control arms. Hoping to get another dyno running E85 + custom tune before season out. Last edited by zero2sixtyZ; 07-07-2017 at 08:58 AM. How much higher are the RPMs at highway speeds in 6th? At highway speeds... about 300 rpm higher. It works for me, because I only average 5K miles per year, and rarely if ever road-trip this car, so any MPG reduction is negligible. Plus, I don't care. It's been two months now, and it's the new normal. One heck of a mod, that's for sure. Probably the most significant thing you can do for this car to create driveable power without boost. flickr , is a mirrored duplicate from the last guys who abandoned their users and all their existing content. Sup org guys. This place looks different.